Addressing the press conference, Padma Shri & Dr. B. C. Roy National Awardee and President, HCFI, Dr K K Aggarwaland Dr. P. K. Sharma, MOH–NDMC, said that this would be for the first time in the world that such a large number of people would be trained in one day. CPR 10 is based on the concept that consciousness does not leave the body for 10 minutes after the cardiac arrest. IfHands–only CPR is done on the victim by a bystander during this period, the person can be revived. The CPR probably started in India with Savitri for the first time saving the life of her husband Satyavan from Yamraj. The Foundation, therefore, has named this the “Savitri Mantra”. People in the camp would be provided one to one training. The participants will include nursing students, medical students, general public, NDMC schools and other schools & colleges, etc. *It is possible to revive a dead person within 10 minutes of death. *The consciousness does not leave the body for up to 10 minutes after cardiac arrest and the brain remains alive during this period. *If the heart can be revived before the brain dies, it is possible to revive a person. *It is practically impossible to seek medical assistance in these 10 minutes. *In out of hospital cardiac arrests, the only answer is cardiopulmonary resuscitation i.e. CPR 10 done by a bystander. *Everybody above the age of 10 can learn CPR 10 and save a life. *CPR 10 does not require mouth to mouth breathing. 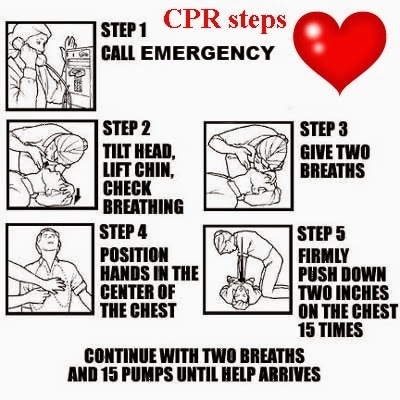 *No certification is required under the Good Samaritan Law for doing CPR 10. *CPR 10 can be remembered by understanding the Savitri Mantra and doing practically one to one learning with the manikins. *The name ‘Savitri Mantra’ has been given as the first successful CPR was done by Savitri on her husband Satyavan. *The HCFI trained 11459 people in one day and created a world record on 6th April, 2013 on the eve of World Health Day. *Immediate initiation of excellent CPR is important. *Compress the chest by 1½ inches. *Lay rescuers should not interrupt chest compressions to palpate for pulses and should continue *CPR until an automated external defibrillator (AED) is ready to defibrillate, emergency doctor assume care, or the patient wakes up. *CPR 10 is not recommended for children or arrest of non cardiac origin (e.g., near drowning). *Hemodynamic phase spans 4–10 minutes following sudden cardiac arrest and patients in this phase benefit from excellent chest compressions to generate adequate cerebral and coronary perfusion and immediate defibrillation. *Metabolic phase occurs following approximately 10 minutes of pulselessness and few patients who reach this phase survive. *Formula of 10 (CPR–10): To revive after sudden cardiac arrest, within 10 minutes of cardiac arrest (earlier the better) for the next ‘at least’ 10 minutes (longer the better) compress the center of the chest, continuously and effectively, with a speed of 10 × 10 (100) per minute. About HCFI : The only National Not for profit NGO, on whose mega community health education events, Govt. of India has released two National Commemorative stamps and one cancellation stamp, and who has conducted one to one training on” Hands only CPR” of 75187people since 1st November 2012.